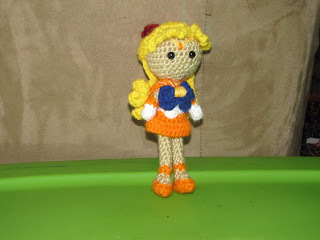 Sailor Venus! she's got the same hair as Sailor Mars, Ariel's pattern with Sailor Moon's bangs, only I chained 6 instead of 5 so they look a little better. It's styled the same way I did my Human Ariel, just pulling the front two strands back and stitching them down. I did go back and fix Mars's bangs already. 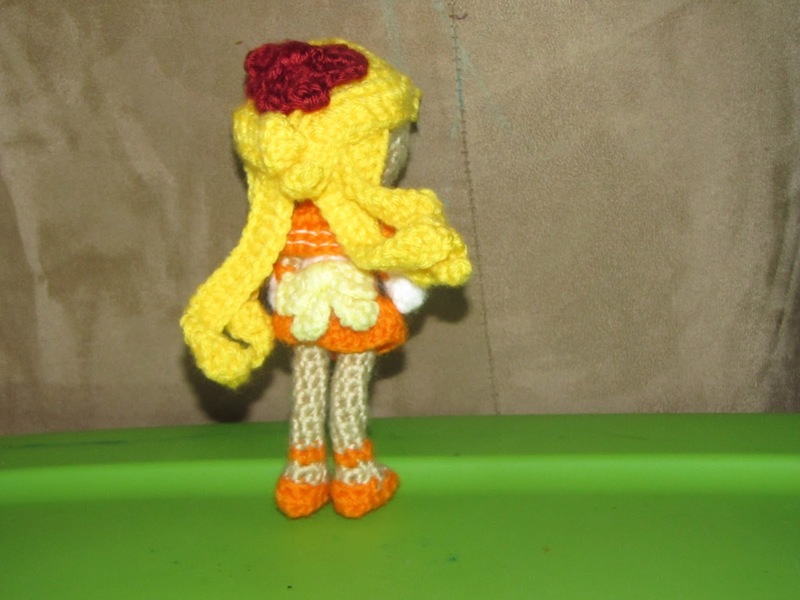 Venus's shoes are two rounds of orange, two rounds of skin color, and one round of orange for the straps around her ankle. I considered putting a chain around her waist but I decided against it. other than that the rest is the same. Incidentally, a funny thing that happened I wanted to mention- so, I love margaritas. a lot. and tequila. I don't know why. It's such a weird flavor. But recently I finally acquired all the pieces to make my own margaritas, so last weekend, I did. I also gave my husband shots of peppermint schnapps while he played League of Legends. I made him take a shot everytime he died. heh. that ended up being a few too many... oops. I had three margaritas, which is enough to get me pretty noticeably drunk.